Every one making soaps has at least once tried this powder in soap. This magical spice seems to be a treasure for our health. 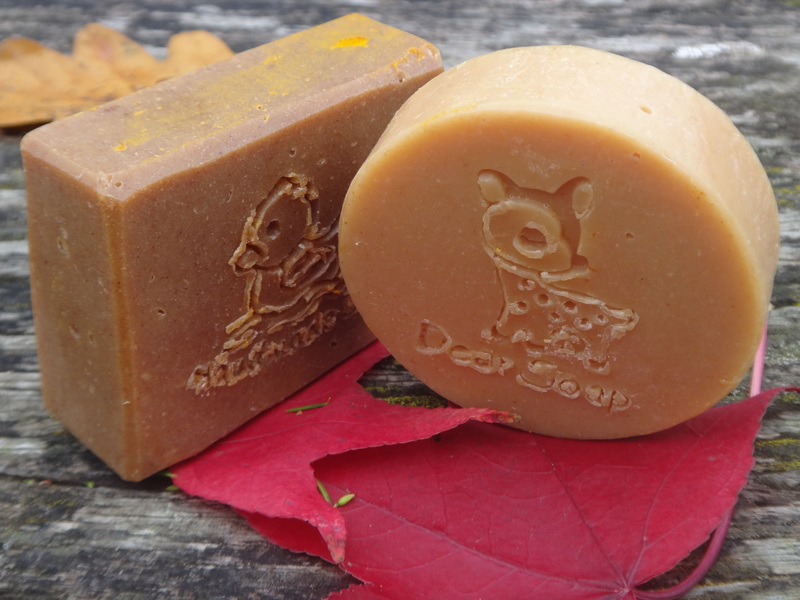 This soap contains: grapeseed oil, coconut oil, palm oil, sunflower oil, olive oil, castor oil, cacao butter, turmeric powder, Litsea Cubeba essential oil. If you want to know more about the benefits of turmeric, you can find lots of info on Claudia’s post . 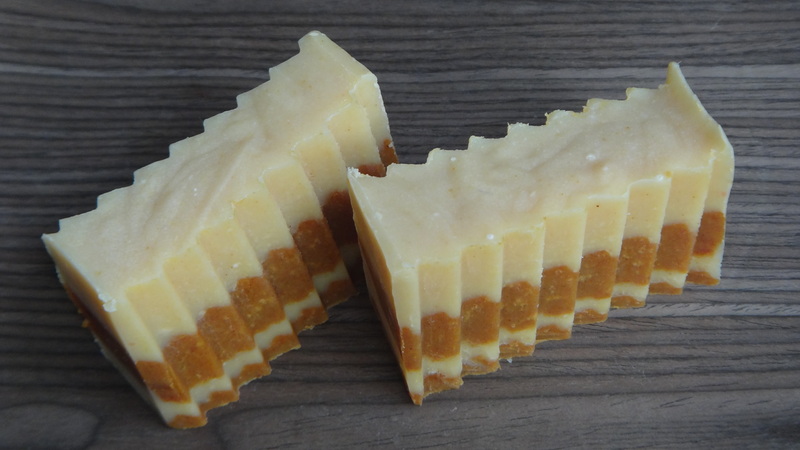 I like curcuma and your soaps turned out really grate! Natalia, imi plac foarte mult straturile pe care le-ai obtinut si modul de taiere. Iar articolul despre turmeric e foarte interesant, l-am citit si m-a convins sa il includ in alimentatie 🙂 Spor si pupici! Beautiful soap Natalia! 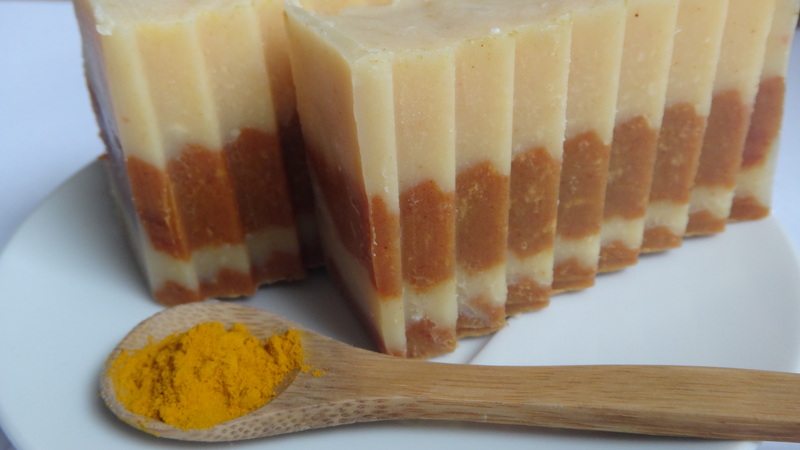 I love using turmeric in soap. The colors that can be achieved, are so many. It also like the fragrance of turmeric. Love that layered effect, what a pretty color the turmeric produces! Beautiful, Natalia! Turmeric produces such a lovely orange color. 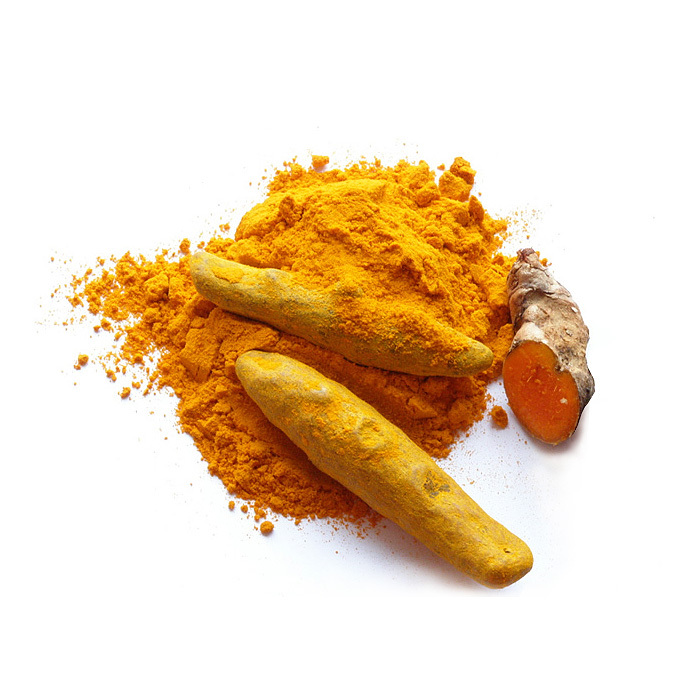 I haven’t played with natural colorants much, but I should try turmeric someday. I have a bunch in my pantry – I love Indian cuisine and use turmeric fairly often when cooking. Your soap is very pretty!